GET YOUR KICKS. 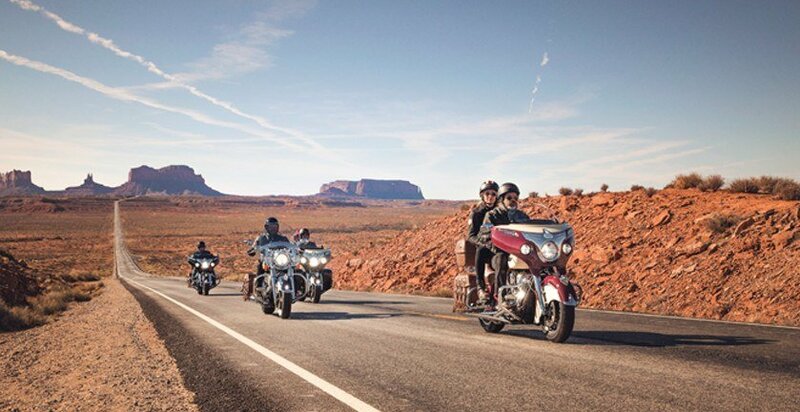 ON ANY ROUTE. 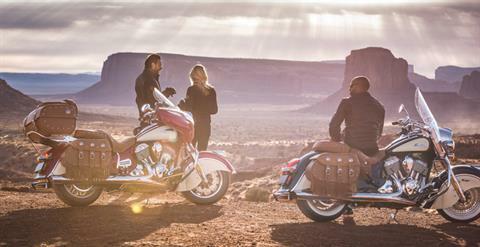 Whether it's Route 66 or Main Street, you'll get your kicks on the new Indian® Roadmaster® Classic. Genuine leather saddlebags and trunk give this American touring motorcycle a distinctive vintage style guaranteed to turn heads and make friends. 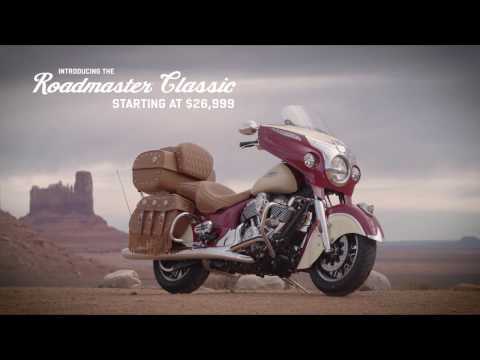 It also has all the technology and comforts you'd expect from a Roadmaster®, like the RIDE COMMAND® infotainment system, power windshield and heated seats and grips. Welcome to Americana 2.0. 33 GALLONS OF LEATHER WRAPPED STORAGE: Take the long way around. 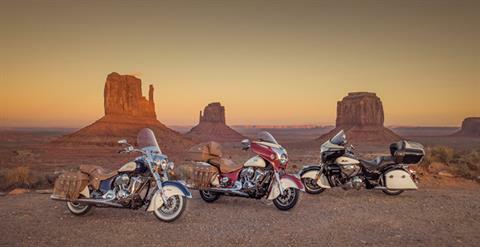 The Indian® Roadmaster® Classic offers 33 gallons of cargo space. 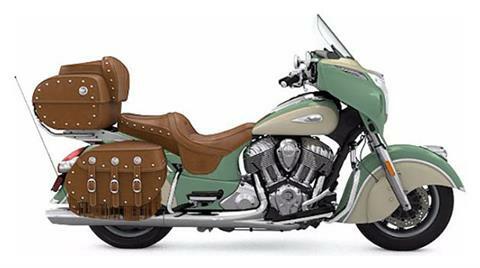 The quick-release leather-wrapped trunk fits two full face helmets. GENUINE LEATHER SADDLEBAGS: These distinctive leather saddlebags were custom-designed to match the iconic look of the Roadmaster® Classic. 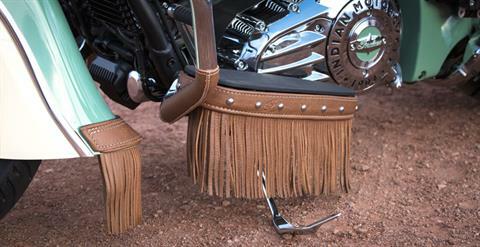 These touring bags feature adjustable metal buckles and leather fringe. 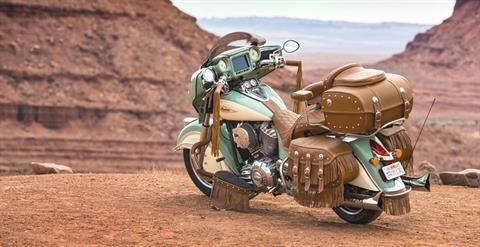 HERITAGE-INSPIRED POWERPLANT: Designed from the ground up, the Thunder Stroke® 111 is a powerful engine offering premium performance, as well as legendary features inspired by the Power Plus motor of the 1940s - Multi-directional finned valve covers. Downward firing exhaust. Large, parallel push-rod tubes. Organic, asymmetric fin styling. Right-hand drive. Right-hand cam cover. Classic 2/3 head-to-cylinder neck down. 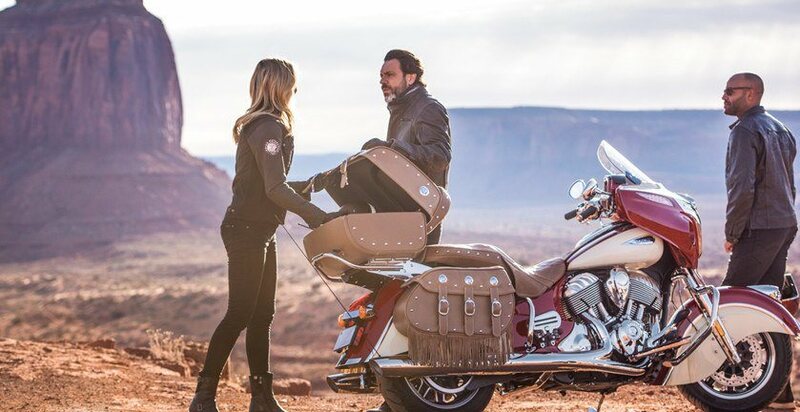 OUTSTANDING STEERING GEOMETRY: The steering geometry of the Roadmaster ® was engineered to deliver light, responsive handling, whether ridden solo with no cargo or two-up with full saddlebags. DESIGN INSPIRATION: To design this fairing, our team looked for inspiration outside of the motorcycle industry. They landed on the sleek and powerful streamliner locomotives of the 1950s. With these classically styled machines as their guide, a new icon for Indian Motorcycle ® was born. PATHFINDER LED HEAD AND DRIVING LIGHTS: As if the Roadmaster ® wasn’t already premium enough, it also includes LED lighting from end to end, illuminating the road for safer riding, day or night. CAST ALUMINUM FRAME: The Roadmaster® Classic's cast aluminum frame is lightweight yet exceptionally strong, providing excellent low-speed handling. 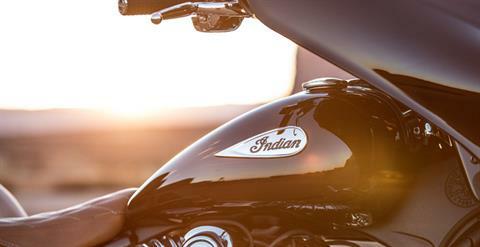 There’s no frame flex at speed in the corners, and you’ll experience confidence-inspiring stability on the highway, where it matters most. POWER ADJUSTABLE WINDHSIELD: With a push of a handlebar-mounted button, this windshield can quickly raise or lower electronically. Lower it to enjoy the cooling airflow. Or raise it to block out wind and rain. 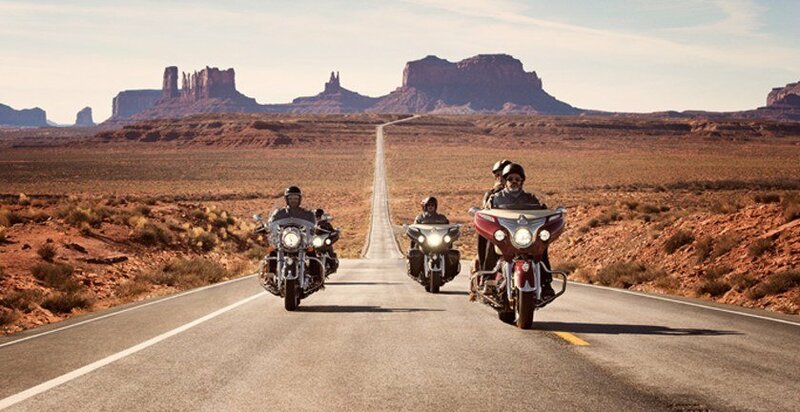 119 FT-LBS OF TORQUE: The Thunder Stroke® 111 produces 119 ft.lbs of torque with extraordinary power at low RPM, so you can accelerate hard with power to spare in every gear. 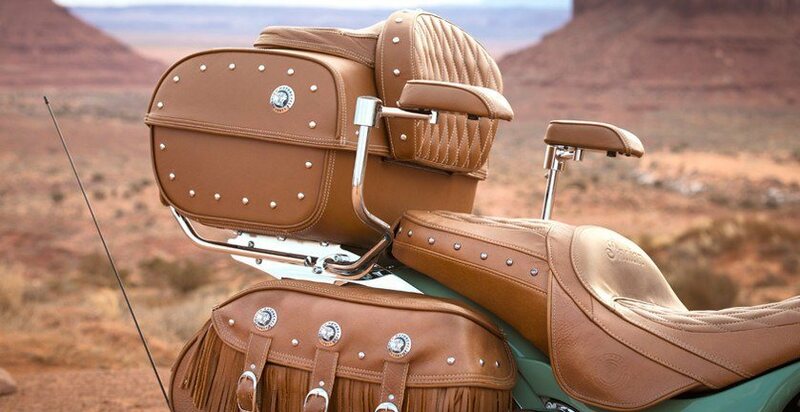 DESERT TAN LEATHER SEAT: A plush, leather two-up seat delivers long-riding comfort, with independent heat controls for you and your passenger. PASSENGER ADJUSTABLE FLOORBOARDS: Perfect for the open roads, these spacious, adjustable floorboards provide room to move your feet and legs for all-day comfort on even the longest rides. PREMIUM CONCERT AUDIO: The Indian Roadmaster®Classic features an integrated 100-watt audio system delivering quality sound from high-output fairing speakers. Smartphones and other audio sources can be connected via cable or Bluetooth®. HEATED HANDGRIPS: These warming grips can shake off even Old Man Winter. 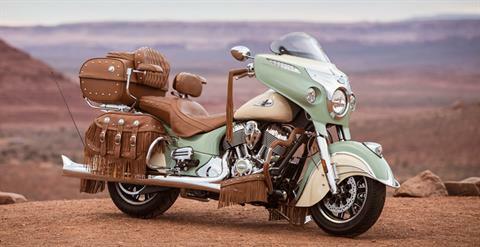 Plus, all of the wiring is routed inside the handlebars for a clean, premium-quality look. 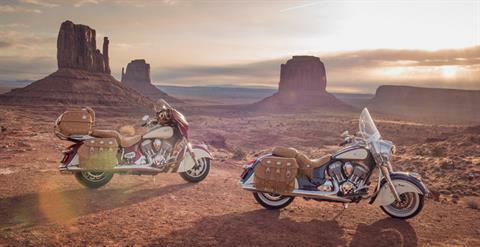 THE INDIAN MOTORCYCLE® RIDE COMMAND™ SYSTEM: Pinch. Swipe. Tap. All without removing your gloves. Through this industry-leading seven-inch display, you can get turn-by-turn directions. Quickly find points of interest. Play Bluetooth® audio. Check vehicle information and status, plus a whole lot more. And thanks to split-screen technology, you can easily customize the display to focus on the details that matter most you most. 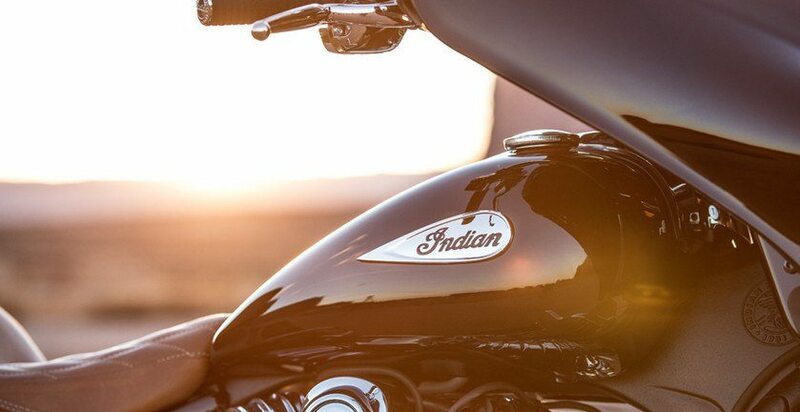 CUSTOM TEARDROP BADGE: The Roadmaster®Classic is loaded with chrome accents such as this new teardrop tank badge inspired by Indian Motorcycles® of yesteryear. 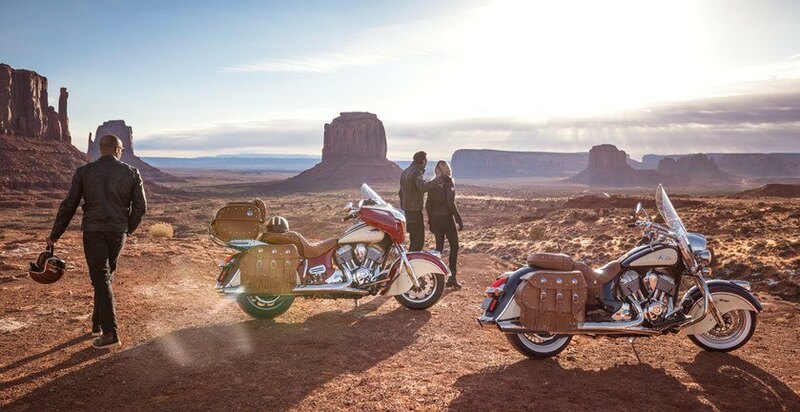 GENUINE LEATHER TRUNK: The distinctive genuine leather trunk was custom-designed to match the iconic look of the Roadmaster®Classic. 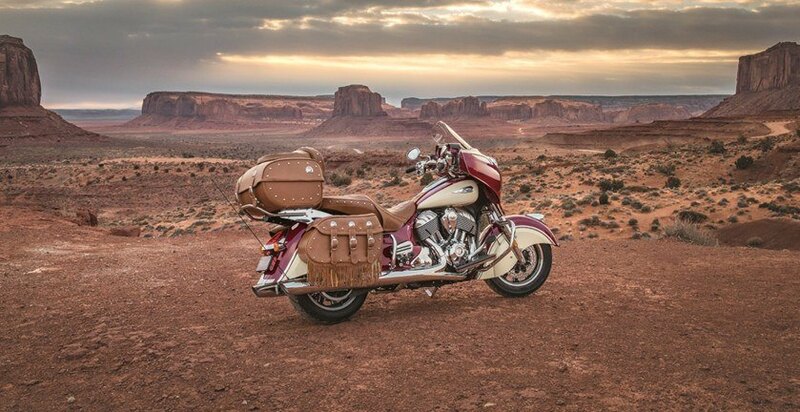 With a capacity of over 16 gallons the genuine leather trunk can hold two full face helmets with room to spare. Convenient access to your smaller items is available in the top trunk pocket.